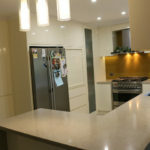 It has yellow base which is speckled with cool white and grays, paired with warm creams and gold. 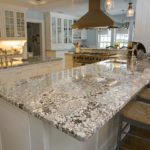 Slight veining may stretch across small areas of the granite creating a cloud-like separation in this stone. 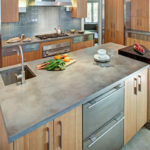 Your countertops are where the action happens. 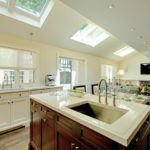 It’s where people look. 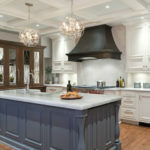 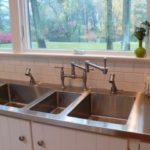 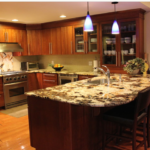 Large and necessary, countertops deserve careful consideration when designing your custom kitchen. 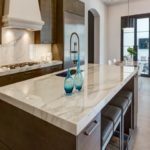 There is not a lot of information out there about Giallo Fiesta granite, so we’ve broken it down for you. 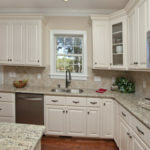 Choosing the right cabinets for your needs is as simple as asking yourself a few questions. 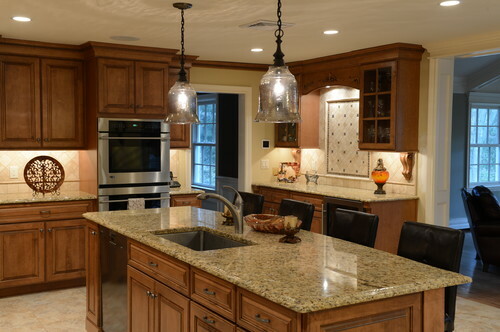 This lovely Giallo Fieasta granite is filled with gold, yellow and spots of burgundy colors. 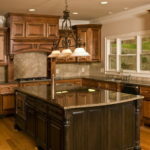 It looks beautiful with the rich dark cabinetry. 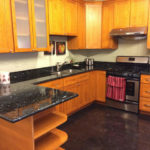 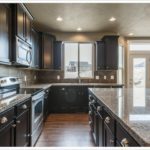 Giallo Fiesta granite has the color which is perfect most of the kitchen cabinets. 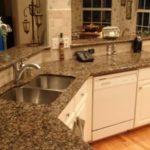 This beige color Giallo Fiesta granite has small dark speckles in it that make it look like the all the Earth tones get together. 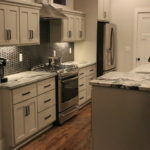 Besides, white shaker wooden cabinets add stunning contrast. 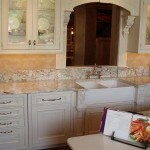 Giallo Fiesta granite with a cream undertone go well with any cabinets with a slight cream tone. 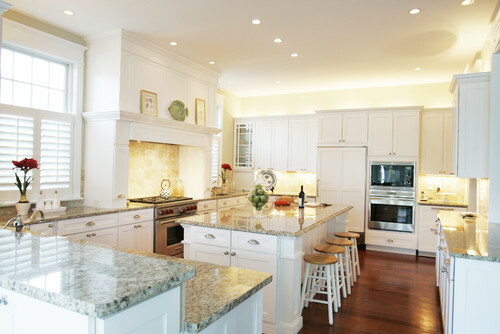 In yellow lights, these light cream cabinets take on a warm transitional glow. 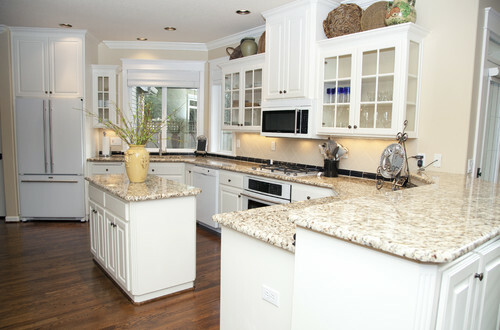 Another picture of rich Giallo Fiesta granite with cream and black dots. 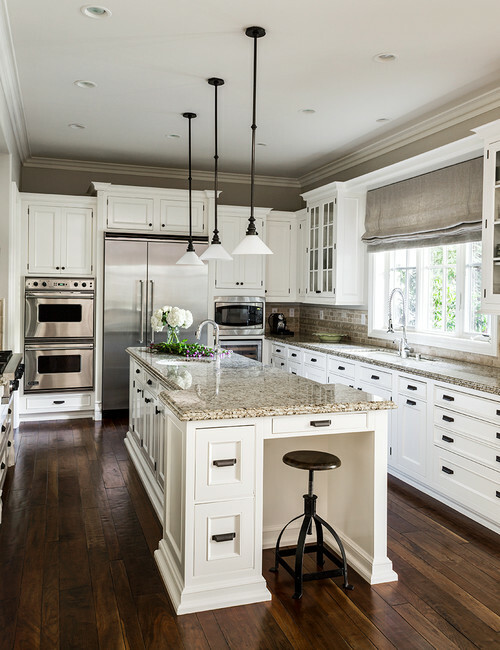 A custom edge and a white cabinets are incredibly elegant. 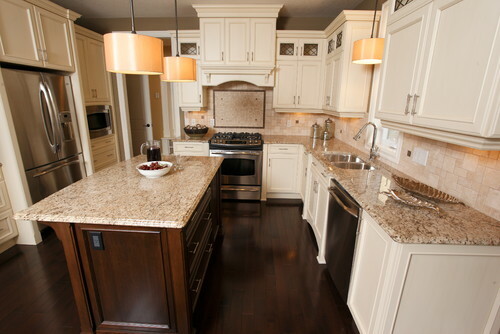 Moreover, brown wood floor looks incredible in this cream kitchen. 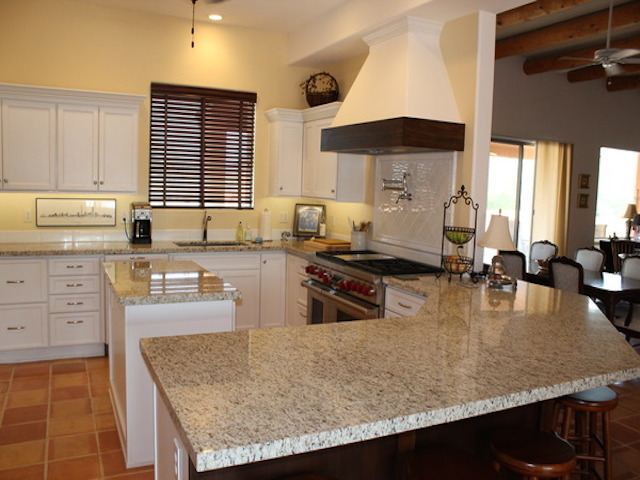 Another look at Giallo Fiesta granite. 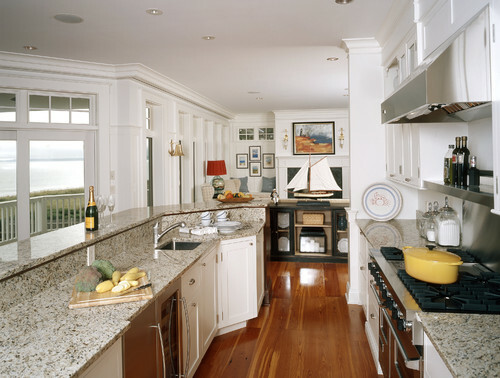 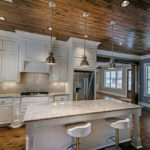 This island is two-tiered with a small granite backsplash between the two tiers. 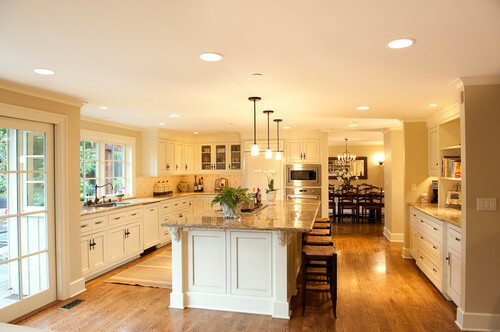 On the other hand, white shaker cabinets and dark wood floor keep the kitchen bright and airy. 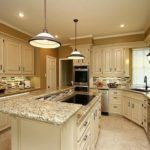 Beige color Giallo Fiesta granite relies on lighter cabinets to bring in warmer tones from the dark wood floor and the cream travertine backsplash color. 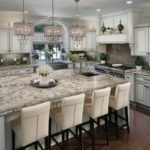 If you’re really looking for dramatic, warm granite with rich gold and cream colors might be exactly what you need. 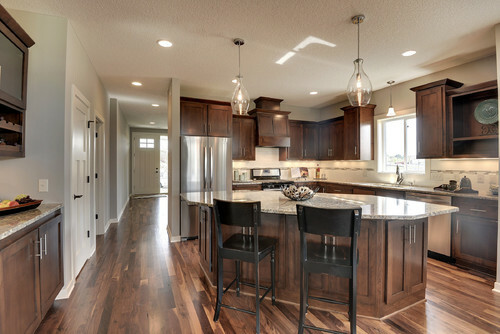 Pair something this showy dark brown cabinets and let it shine. 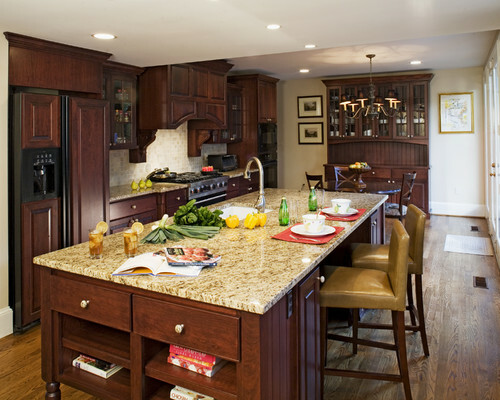 However, combination of Giallo Fiesta granite and dark brown cabinets are spectacular. 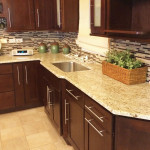 A beautiful Giallo Fiesta granite with Earth colors and a custom full bull nose edge. 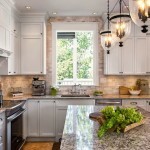 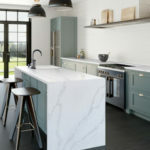 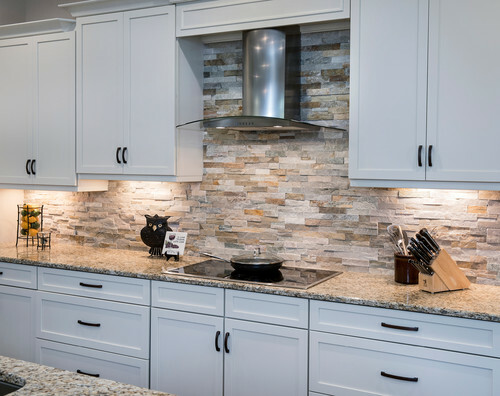 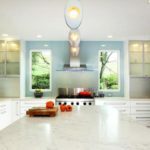 This is just one of several incredible backsplash and countertop combination with white cabinets. 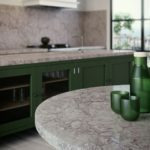 One of the unique feature for Giallo Fiesta granite is that it can go two different cabinet color in the same kitchen. 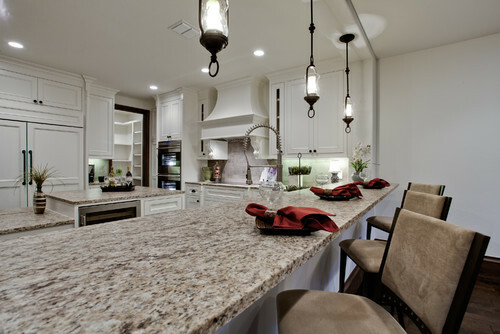 So, this granite is perfect for who likes double colors.